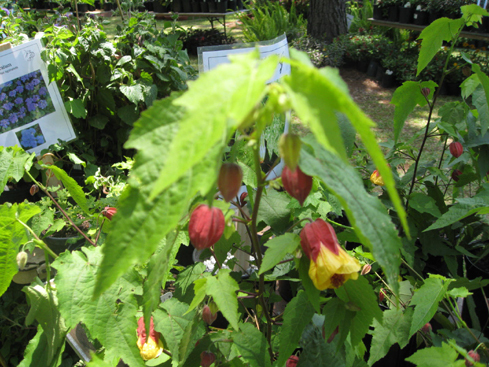 Comments: This abutilon grows to 4 feet in height. It has yellow "petticoat" and red calyx. It flowers in the late summer and fall. Will sometimes come back from the roots when killed to the ground. It's flowers are a favorite of hummingbirds.